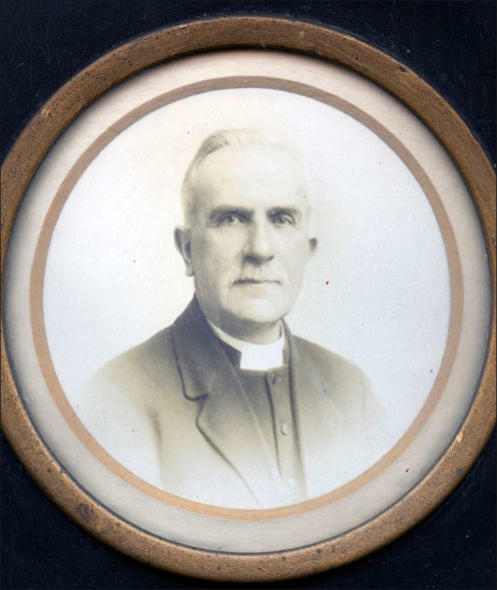 Dr. Rodgers father, also a clergyman , was Minister of Ulsterville Presbyterian Church, in the early 1900s .During his time there the congregation increased to 700 families. The initial Rodgers family consisted of two boys and two girls. In 1928, his father was left with four young children when his first wife died. 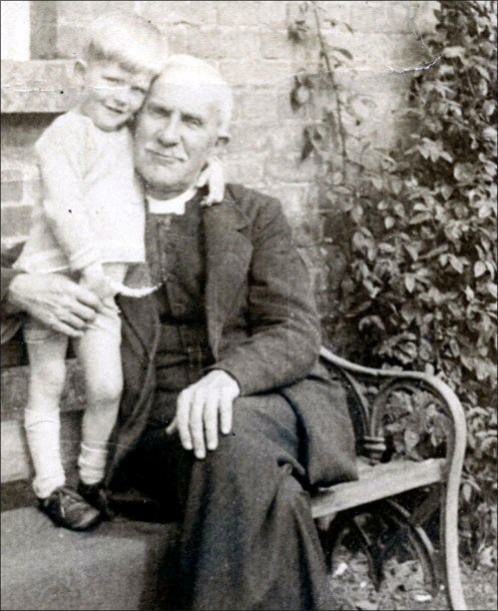 He remarried in 1929, and in the early 1930s, his second wife had a child, so Andrew Rodgers arrived in the world. At the time of his birth, his mother was 45 years old, and not unexpectedly the pregnancy and birth took a toll on her health, in fact it almost killed her – and so his Aunt Molly was considerably involved in his earliest years. 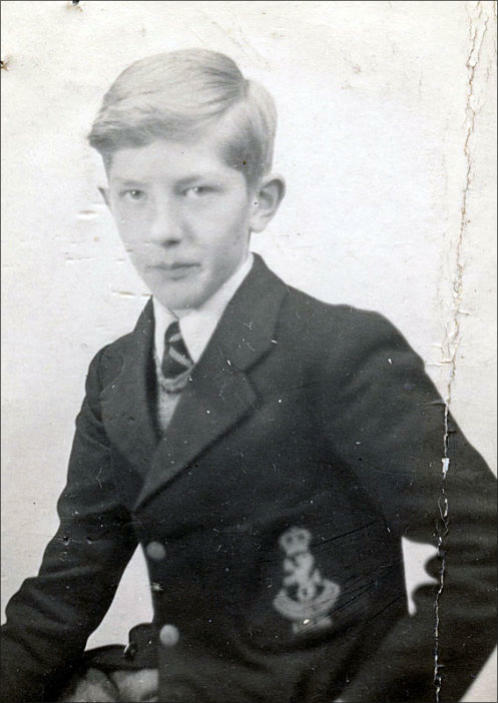 Young Andrew was brought up at Maghergall near Lisburn. His father was installed there on 9 th April, 1929 and remained as Minister for 13 years, making a notable contribution to the life of the area. Around this time,at the age of eight, he committed his life to Christ, but confesses that he failed in his commitment time and again,and still does. Ballycarrickmaddy P.E.School was responsible for his early education. It appears the Principal, Mr. McConnell,could wield a cane with considerable authority (as many did in those days). Dr. Rodgers confided that for comfort he often had an exercise book tucked in the backside of his trousers! After leaving Primary School, education continued at Inchmarlo / RBAI during the war years. These were tough times, food was short and there were many short notice calls to air raid shelters. In the countryside , the army were billeted in barns and other spare accommodation. He recalled a memory of a tragic crash landing when a German Heinkel bomber plunged into a field near by. All of the crew were killed. In 1943 his father retired from Maghergall (on a salary of £230 pounds per annum) and they moved to No 1, Windsor Avenue. Unfortunately in the same year his mother developed breast cancer and needed an operation. Operations in those days had to be paid for, and the cost of £700 was beyond them. She prayed that the money would come, and that God would provide. His mother endured a 14 hour operation which lasted from 9.00 AM in the morning until 11 PM at night. In three weeks over £1340 appeared from everywhere to cover the cost of the operatiod had provided. This traumatic period taught Andrew three great lessons about life. The significance of prayer. The generosity of people. .. And that cancer can be helped. His mother, with whom he had a close bond, recovered and lived until 1965, passing away just before his installation in Dungannon. During her life, the rest of the family had excellent relationships with his mother, their stepmother. While a schoolboy at RBAI, during some horseplay near Stranmillis, a friend drenched young Andrew using a hose. Shortly afterwards he became shivery, subsequently developed rheumatic fever and ended up in hospital. More than that, he spent almost a year in bed. Because of this, exams were missed. Andrew Rodgers studied at Renshaws, and applied to Queens University ,but failed his matriculation. He then went to Magee College, sat the matriculation exams in June, passed the first year re-sit in September, and began the General Arts Course which consisted of eight subjects including mechanics (both written and oral). He was only six weeks at Magee College when his father died on the 19th October 1949. His half brother, generously and thoughtfully, told him to go back to Magee College During his studies, he failed Hebrew and so changed to Greek. He completed his ‘Littlego’ exams, but failed Mechanics ,which he repeated three weeks later, and he was called at 1.00 to the Desk for the oral. He recounted the details vividly-well remembering the girl in front pleading to be allowed through, and she was, with the remark “I don’t want to see your face again”. He was next . “Rodgers, what is that smell. Is it lunch. Will 5/10,7/10,9/10 do” He lifted his brandy bottle and had a drink. Professor R.J.Wilson announcing the final exam results said. ‘’Ah, Mr. Rodgers, your Hebrew knowledge is not extensive. I have read your paper three times and looked in vain for 30 marks to pass you, but then I consulted Almighty God and decided to give you a 30 WWW (weak, warned, and wobbly)’’. Hebrew was again the problem! Dr Rodgers was first called to Ulsterville (where his father had been many years before) as Assistant to the Rev. R W Gillespie, who was originally from Eglish. He recounted his first Sunday when his responsibilities were the prayer of intercession and announcing the offering. He thought he was well prepared, in fact he was so well prepared that the prayer lasted 13 minutes and he probably covered, not just the congregation, but everyone in the country and indeed the world. One of his tasks was to visit the Royal Victoria Hospital with Rev. Gillespie.He recalled Billy who came from Sandy Row and had King William tattooed on his breast. Billy had been in hospital for some time and wasn’t feeling so good. When Rev. Gillespie asked how he was, he replied. ‘’Desperate diahorriac.’’ To which Dr.Gillespie replied with a gem of a one-liner. ’’ Your heart’s still in Ulster, but your bowels are in the Free State’’ 1957 was an important year. 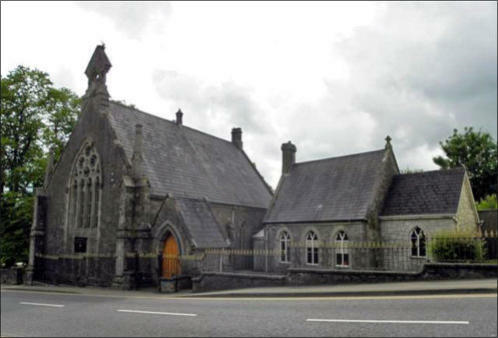 In June, the young minister moved to Clones, and for the first time, took charge of his own congregation. In October of that year he and Helen (who at that time trained telephonists) were married. Dr. Rodgers declared that Helen has ever enriched and supported his ministry since. Clones High School with its 58 pupils was short of a French teacher and the young clergyman found himself teaching French (from 9.00 AM to 1.00 PM five days a week). He had no Irish, so there was no official pay. The governors gave him £3 a week. It was however, fulfilling. A year later, the French teacher (Miss McClintock) returned. There was still a job, but this time teaching English and Maths. Dr.Rodgers recalled receiving his income tax forms (in Irish),which he neglected until he received one demanding his attention.Finding it fairly incomprehensible to complete, he instead wrote to the tax office stating his salary as a minister £420 and as a teacher £150, he added expenses and dependants and asked ‘’What do I owe you?’’. He received a printed reply,and written at the bottom ‘’Nothing-God help you.’’ Very much an Irish response and not a U.K.one! While there, for a time he became known as ‘’ The Clones Midwife’’, A poor family lived in a Gate-lodge belonging to the Bishop of Clogher. Occasionally, they would go to Monaghan by taxi (there wasn’t much of a bus service) to do some shopping and sometimes if available he offered the pair a lift. Anyhow, Tommy the husband (who was just a little slow) asked him if he would take his wife to hospital. The road was icy, and 3 miles down the road the sounds from the back indicated that severe contractions had started. The baby arrived a short time later, in the back of the car, and he was asked if he could cut the cord. The only instrument available was Tommy’s knife which had a dubious pedigree. The umbilical cord was cut, and the young mother driven as quickly as possible to hospital.He was later informed by the Sister that the procedure undertaken in the car was indeed a hazardous one for both baby and child, as there was a very high risk of infection. Thus Dr. Rodgers became known as ‘The Clones Midwife’ In 1965, after serving in Monaghan for 71/2 years, a deputation from Dungannon arrived and inquired if he would apply for the vacancy there. Five others had applied, and after the usual meetings and preaching of sermons, Andrew Rodgers was called to 1st Dungannon. Here he succeeded Rev. 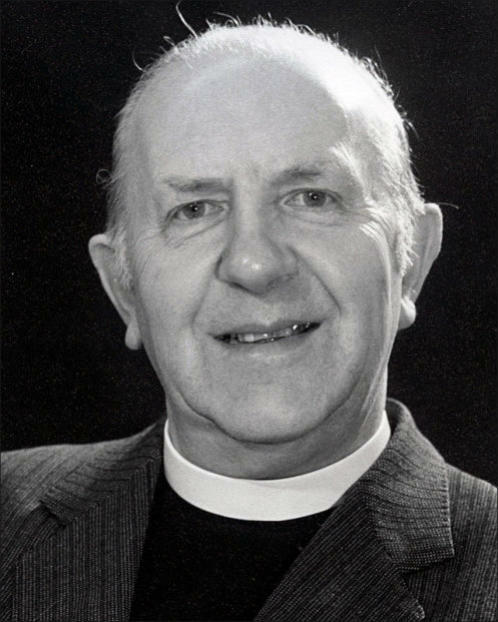 Dr. Stanley Thompson who had been the incumbent in Dungannon for between 49 and 50 years. Dr. Thompson, a bachelor, was an excellent speaker and Dr. Rodgers recalled one of his Dungannon predecessor’s remarks. “Whenever I thought about getting married, I just took two Cullens Powders, and lay down until the notion left me” He also remembered that interestingly, and deliberately, Rev. Dr. Thompson’s headstone is between graves 49 and 50 in Coolhill Cemetery-reflecting the number of years he had been in Dungannon. The deceased Rev. 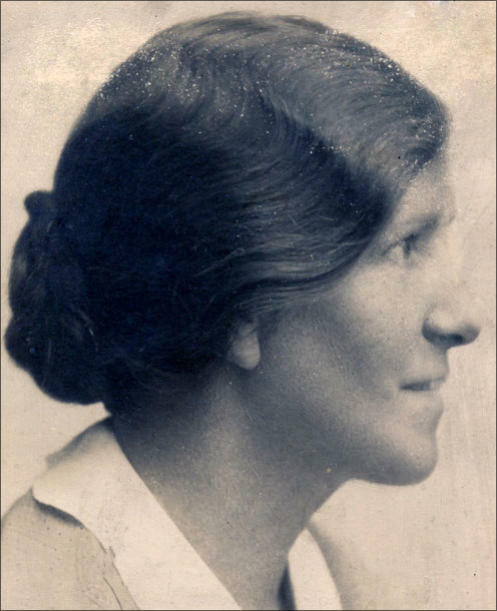 Dr. Thompson was a great friend of Miss Leith, Headmistress of Dungannon High School for Girls at that time. Both were sticklers for good English. On his gravestone, part of the inscription says. “ Friend of the church, the town and it’s people’’. Dr. Rodgers chuckled that he might well have turned in his grave, because of the grammatical error on his Headstone. 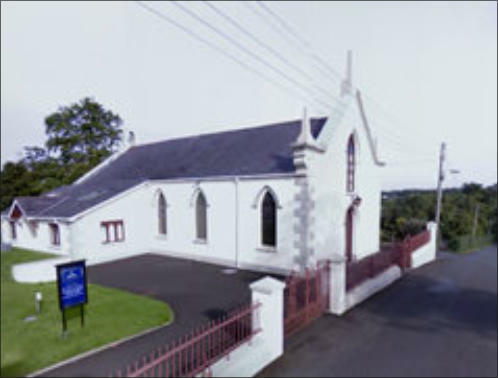 He reflected that when he arrived in Dungannon, Dr. Jim Kincade was Principal of RSD, and a member of the congregation. Jim Kincade was a particularly gifted speaker (as I remember myself- his Prize Distribution speeches were always notable). Dr. Rodgers described, how, rather in awe of Dr. Kincade, he attempted to match his oratory in the pulpit, but soon realized that it really wasn't working. From then he made the decision that he was much better just being himself. 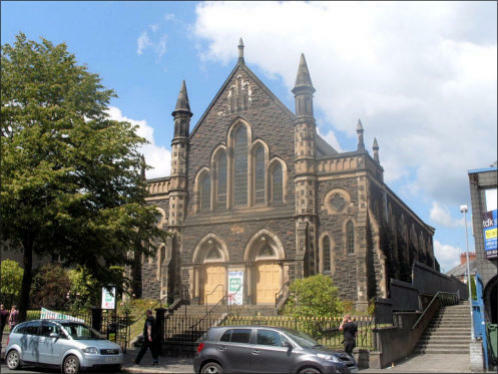 In his early days at Scotch Street, youth activities within the church were very limited, but the seventies, eighties and nineties witnessed a dramatic change. At their peak, 150 teenagers attended the Youth Club, 120 came to Christian Endeavour on a Saturday night, and 150 enjoyed the Teens Coffee Bar .From those gatherings many met and married their life partner ,and many also found Christ. 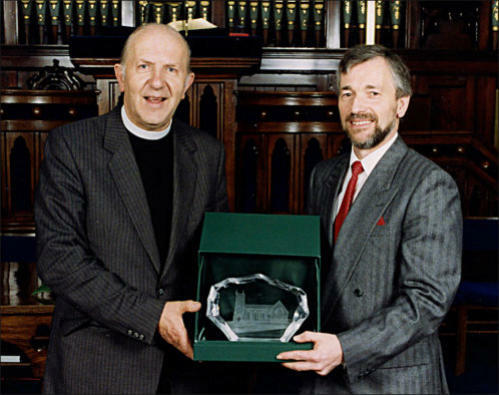 When he retired, the Congregation had 650 families While in Dungannon in 1993,and during the troubles, Dr. Rodgers was elected Moderator of the General Assembly (no easy job during those traumatic times). He confessed that at the time he had no desire or want for the position. During his year of office he travelled 47,000 miles in Ireland, 7500 in Africa and a large number in England. He remembers vividly the trauma and sadness of the Shankill Road bombing. That particular day he spent five continuous hours from 6.00 PM to 11.00 PM talking either to the bereaved or the media. Many of his visits during this time were to Presbyterian farming communities along the border and he was very aware of the huge tension and danger experienced by many border families. At this time, he gained a respectful insight into the workings of Church Outreach and the excellent work that was carried out with the old, prisoners and mission, both at home and overseas. 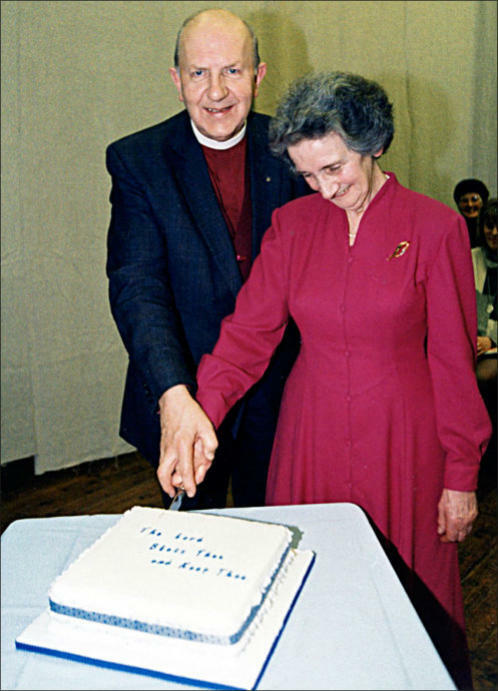 Altogether 32 years were spent as a Presbyterian Minister in Dungannon. While there, he saw the worst of the troubles. His congregation often bore anguish and grief in those dark years and the Church itself had windows smashed almost 30 times.He served on the Governing Boards of almost every school in the district ,some of them for nearly 30 years. Despite the mayhem, Helen and he saw their family grow up, largely complete their education, and fly the nest. 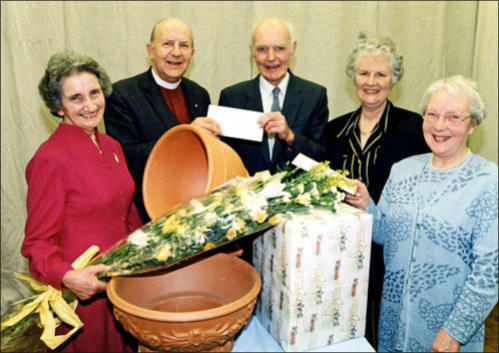 Dr. and Mrs Helen Rodgers accept gifts on their retirement from Joshua Buchanan (Senior Elders),Margaret Forbes(rep.Congregation) and Rosemary McKeown (rep. P.W.A.) Retirement in 1996 did not last long. Dr. Isaac Thompson invited him to be Pastoral Assistant at First Cookstown and in his own words. ‘’I have found this to be a delight from beginning to end’’. As many may know, Dr. Rodgers has his stories, and this one he told me as we talked. During a visit to a once well known and popular local resident, and after giving a comforting reading and prayer, he was asked to come a bit closer and the patient, who appeared to be half asleep, whispered. ‘’Mr. Thompson, that was a lovely reading and prayer. That fellow Rodgers, comes sometimes too. He reads and prays as well, but he doesn’t hold a candle to you’’. Dr. Rodgers concluded by thanking God for the warm hearted and kindly congregation in First Cookstown and intimated how fulfilling the last 15 years had been for him. He finished with the following quotation. od asks not for success, but faithfulness, Not for great skill, but that we do his will. Live so as to be missed, Live with eternities values in view. Dr.& Mrs. Rodgers cut their retirement cake. Mr.John Eddie presents Dr.Rodgers with a retirement gift.